How cute is this little guy? 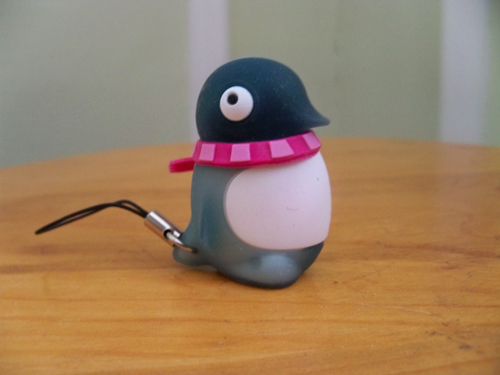 Would you believe he is a usb storage device? *boop* You just bend his head back and there it is. They are made by a company called Bone and my friend Peggy got him for me at CES. How sweet was that? He just makes me smile. Ooh my gosh. That is adorable. I'll have to google them and see what else they have!!! That's so fun. 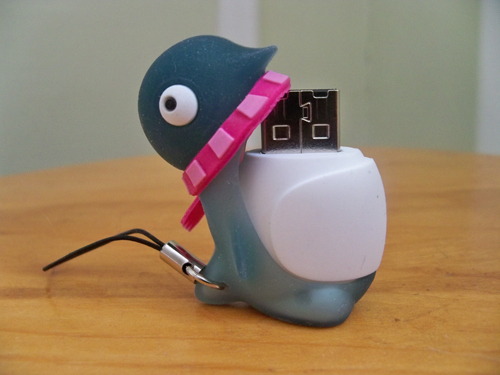 I know he's wearing a scarf, but it kinda looks like he's about to chomp on the usb. You can never go wrong when you mix the cute with technology. :D I still need to find the coats for these things.